This evaporator is rated for 5 – 50 taps. Estimated evaporation rate is 6 – 9+ gallons per hour. It will take 7.5 gallons of sap to fill the pan 2″ deep. The total length of the Stack Pipe is always double the length of the arch. Maximum = 12 feet. The Corsair Arch Sides, Base Stack and Stack Pipe will be Galvanized Steel unless upgraded to rust-resistant Stainless Steel. 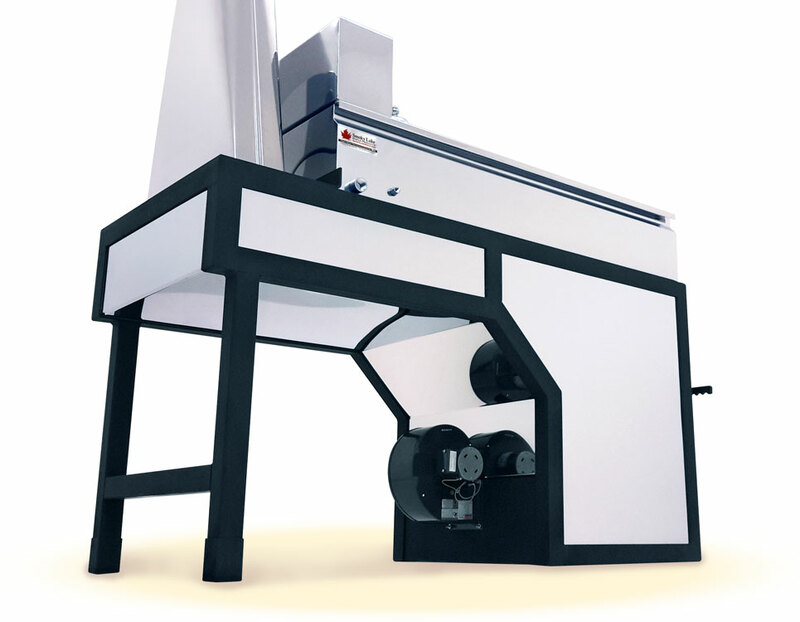 The upgraded stainless steel Arch Sides have a mirror finish which matches the evaporator pan. To protect your evaporator from the extreme heat, you will need to line the inside of the arch with ceramic blanket and brick. Would you like us to include these materials with your order? 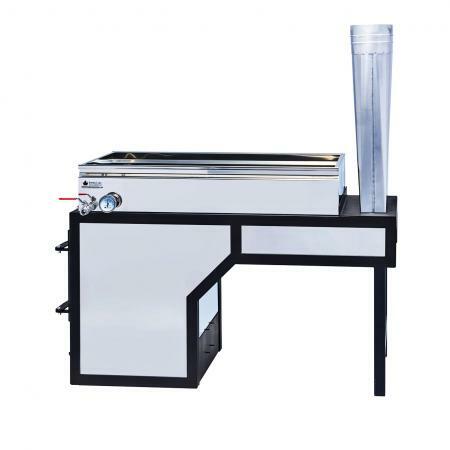 You can increase the evaporation rate and capacity of your evaporator by adding a Forced Draft Kit. The kit amplifies fire combustion resulting in more heat and therefore a more rapid boil. If ordered today, the Forced Draft Kit will come preinstalled on your evaporator. 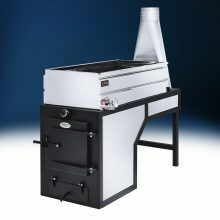 Will your evaporator be in a sugar shack? Smoky Lake suspended hoods help evacuate the mass amounts of steam. If you are boiling outdoors, this option is not necessary. 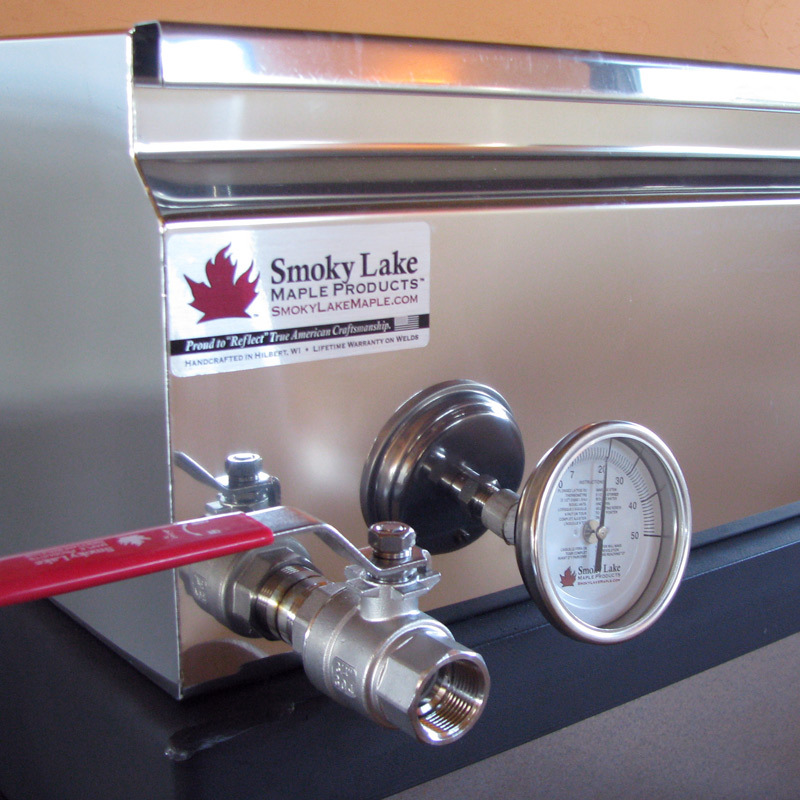 Premium Flat Pans by Smoky Lake are crafted with 22 gauge, mirror finish stainless steel — which has superior heat transfer compared to our competitors’ thicker gauges. They come standard with a thermometer port, draw-off port and stainless steel Ball Valve. They also feature full length, built-in handles. We confidently back every pan with a lifetime limited warranty on all TIG welds. Every pan is American made at our headquarters in Hilbert, Wisconsin. New for 2019! Every Flat Pan now comes standard with our Level Assist feature. This feature marks the recommended starting sap depth of 2″ in your pan. It will also make it easy to see whether or not your pan is sitting level. 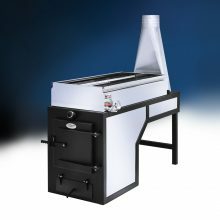 This revolutionary evaporator design is fully convertible from conventional draft to forced draft in an instant. The airtight front gives you a critical advantage in efficiency and performance whether you’re running the forced air kit or if you choose to keep things simple with natural aspiration. The large loading door nicely compliments the large combustion chamber. 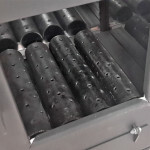 This air-tight door will help prevent cold air from being pulled along the bottom of pan, negatively effecting evaporation rate and efficiency. The Corsair arch is fully steel framed. The entire perimeter is built as strong as possible, giving you confidence when filling the pans above it with your precious liquid and igniting an intense fire inside it. Additionally, the arch fits the geometry of whatever pan set you plan to use on it, forcing the pan to take full advantage of the heat created within. 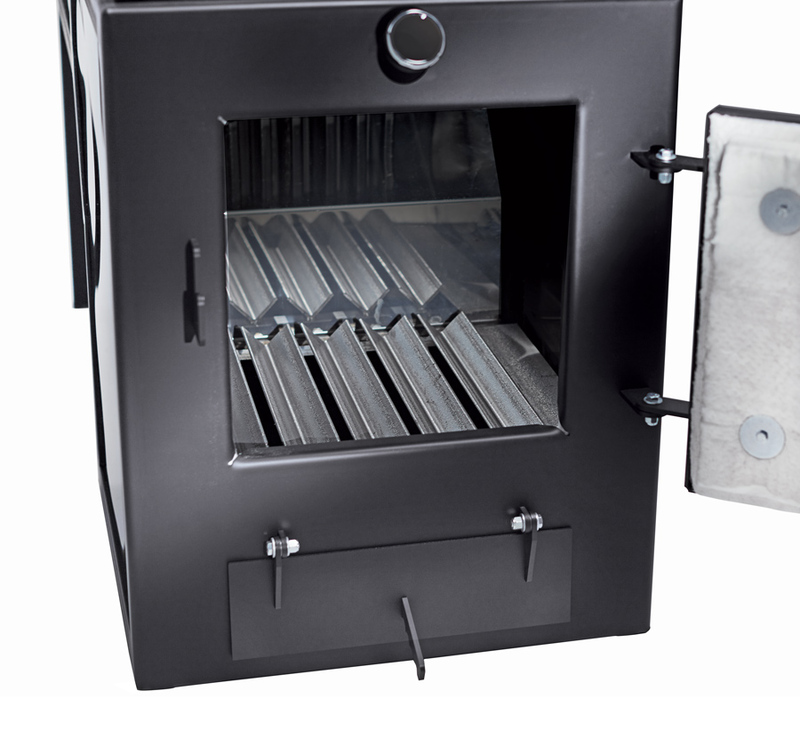 The nice, big firebox is 24″wide x 32″tall x 25.5″deep. You will need 20 thick bricks and 20 thin bricks (for the firebox) and 1 case of ceramic insulation blanket (for the rest of the arch and behind the bricks). See our Brick and Insulation Kit for more information. Please note: fire brick/ceramic blanket not included. Much higher evaporation rate compared to natural draft. Easier to burn larger/unseasoned wood. This means you won’t have to cut your firewood as fine and you can burn wood that is less perfect. Increased agility. You will be able to shut down your evaporator much faster because it allows firewood to burn quicker and more completely. 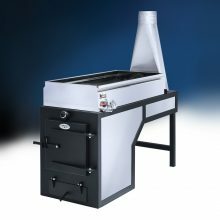 The forced draft option includes upgraded domed cast iron grates and an electric blower. If ordered at this time, the blower will come pre-mounted to the arch. 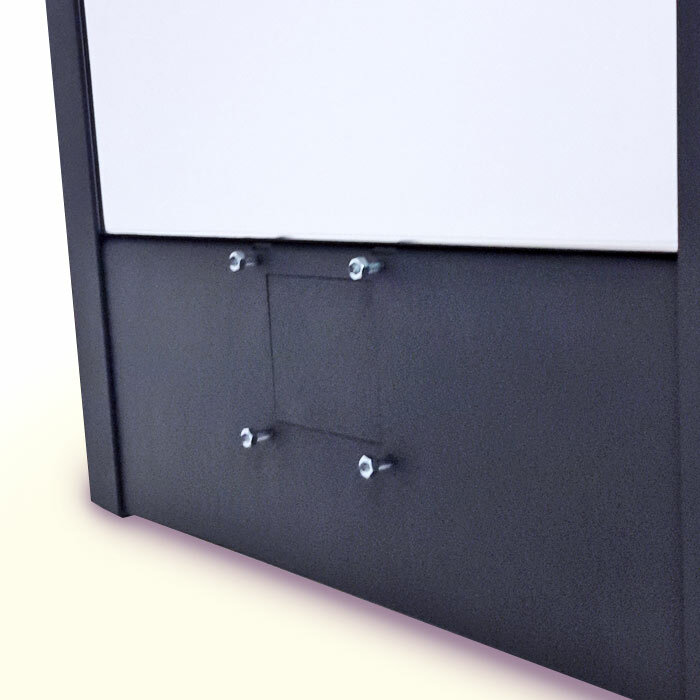 Otherwise, if you order the arch as conventional draft, the back of the Corsair firebox will include a perforated knock out and mounting studs to accommodate a forced air kit in the future. If the time comes when you need more performance, just remove the knock out, mount the blower and replace the steel grates with the kit’s new perforated, domed cast iron grates.